In much the same way that Americans celebrate the 4th of July holiday, Canadians, too, celebrate Canada Day on July 1. Canada Day, also known as Canada’s Birthday, is a national holiday that celebrates the establishment of Canada as a country on July 1, 1867. 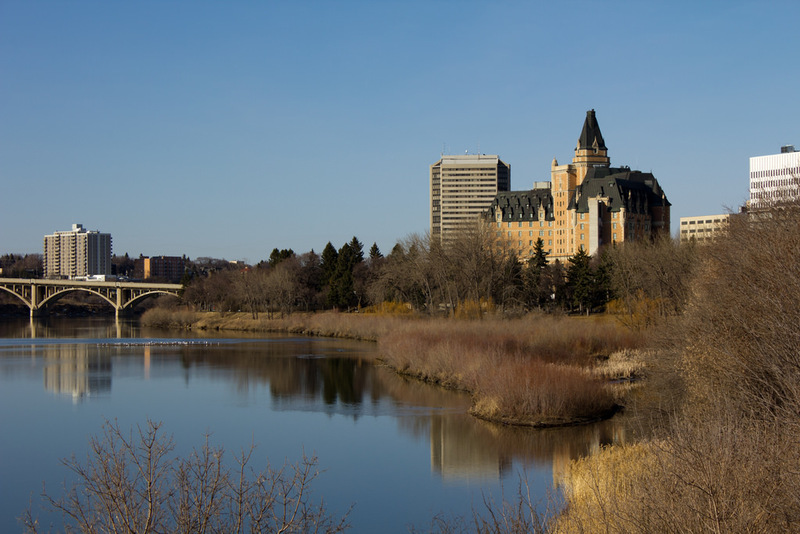 Saskatoon, the largest city in the Canadian Prairie Province of Saskatchewan, certainly celebrates Canada Day, but it’s also a delightful place to explore any time of year. A terrific home base during a visit is Gordon Howe Campground, which is set in the heart of the city. An added bonus is the trio of city-run golf courses that aren’t far away either. Run by the city of Saskatoon, Gordon Howe Campground is a clean and well-manicured park that features 135 sites. Amenities include barbecues and picnic tables at each site, 15/30/50 amp electrical, laundry facilities, washrooms and showers, free Wi-Fi, firewood, and a playground. The park’s namesake, the legendary Gordie Howe, played 26 seasons in the National Hockey League. The longtime resident of Saskatoon made famous the “Gordie Howe hat trick,” wherein a player scores a goal, records an assist, and gets in a fight all in one game! The city of Saskatoon runs three golf courses, including the only 18-hole executive par 3 golf course in the area. 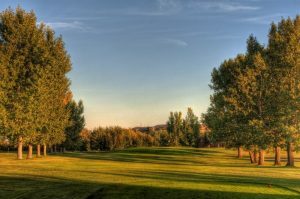 Silverwood Golf Course is a challenging 2,586-yard course designed with the beginning golfer and families in mind and takes less than two hours to play. It’s challenging, though. For example, the Silverwood Lake 9 has water in play on seven of the nine holes, while the River 9 features breathtaking views of the South Saskatchewan River from five of the holes. Holiday Park Golf Course offers 27 holes of golf with a backdrop of natural scenic beauty. The par 71, 18-hole track measures 6,309 yards from the tips, while the nine-hole executive course is a par 34 that measures 2,479 yards. Holiday Park features a driving range, practice green, pro shop, coffee shop, lounge, and PGA of Saskatchewan staff. The third city-run track is Wildwood Golf Course, a par 70 course that’s a relatively short 5,706 yards. A favorite of many golfers, however, Wildwood was the city’s first golf course, opening in July 1931. Like Holiday Park and Silverwood, Wildwood also offers daily twilight rates. A must-visit while in the Saskatoon area is Canada’s version of the Dead Sea. Just over an hour’s drive southeast of Saskatoon is Little Manitou Lake near the town of Watrous. Little Manitou Lake has a mineral density three-times saltier than the ocean. All that salt enables swimmers to effortlessly float on their backs, bobbing above the surface just like in Israel’s famous Dead Sea. Many visitors journey to Little Manitou Lake to enjoy the purported healing benefits of the warm, mineral-rich waters, with the best months being June through August. 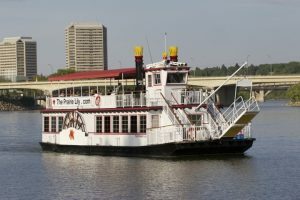 Sightseeing tours aboard the Prairie Lily, Saskatoon’s Riverboat, is a popular way to spend an afternoon or evening. Featuring a variety of tours, the Prairie Lily offers dinner cruises, brunch cruises, sightseeing tours, tasting and specialty cruises, as well as custom and charter events. Plying the waters of the South Saskatchewan River, the Prairie Lily riverboat can accommodate up to 120 passengers. Don’t forget about Saskatoon during the winter months, for there are lots of options for locals and visitors alike. Try snowshoeing on the river valley at Wanuskewin Heritage Park, tobogganing at Diefenbaker Park, skating at the ice at the Cameco Meewasin Skating Rink at Nutrien Plaza, or cross-country skiing. Ski trails are maintained along the east and west banks of the South Saskatchewan River and in a variety of parks and open spaces throughout Saskatoon. Also, a few of the golf courses, including Holiday Park Golf Course and Wildwood Golf Course, are transformed into cross-country ski trails during winter months. For more details about Saskatoon, visit TourismSaskatoon.com. You can also see what RVers are saying about Gordon Howe Campground on Campground Reviews. Rick Stedman is an avid golfer, RVer, and writer who lives in Olympia, Washington. Rick writes a weekly golf blog, The 19th Hole, for RV Life. You can reach him at rstedman@gmail.com. My only input here is to beware Saskatchewan roads. On the one short trip through that we made in 2012 from Montana to prairie Alberta, we were stuck at significant road work twice, got a rock in the windshield from an oncoming truck, traversed mostly rough major highways, and picked up yellow paint from a road striping rig. And some RV parks are primitive, so research well in advance. yes saskatchewan has done alot of road improvements in years but as for a stone chip that can happen any where and for yellow paint on your car you are the idiot that got to close to the paint truck not the other way around. From Google Maps, satellite view, it appears that the campground has a lot of “seasonal” sites, they are all filled with large RVs.